These are great! 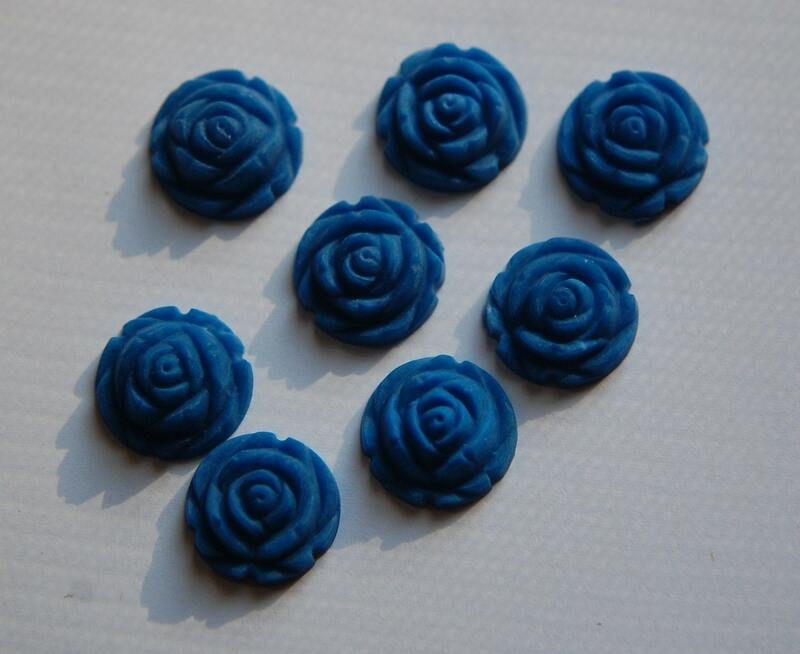 They are a vintage style rosebud flower cabochons. The color is matte blue. These measure 15mm and you will receive 8 of them.